Whenever I come across an ice cream shop, I get really excited. I love eating ice cream and when I see one that is unique, then I know I have to try it. I wasn't sure what Ihwamun Ice Cream was when coming across it, but it didn't matter. I wanted to taste it and see what this shop was made of. 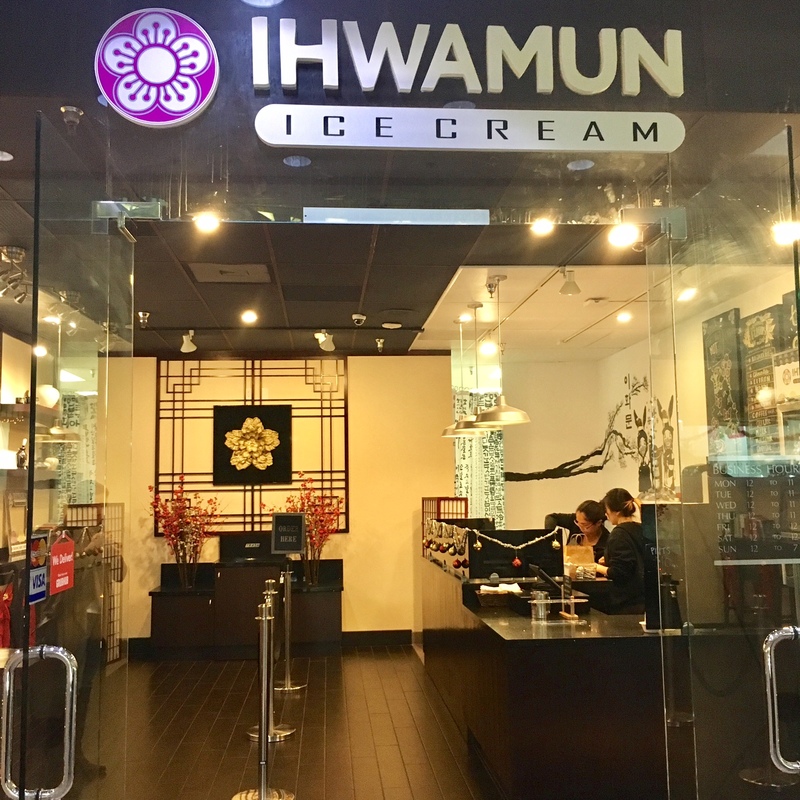 Ihwamun Ice Cream is a Korean ice cream shop using high quality ingredients made fresh right in the store. The dairy is organic and the flavors range from classic flavors like chocolate to Korean flavors like Choco Pie and Injeolmi. DOUBLE ($6.00): Injeolmi and Malted Milk Ball. The injeolmi was actually pretty good. There were pieces of the Korean rice cake in the ice cream. It was creamy and not overly sweet. The ice cream that stole me was the malted milk ball. It's basically Ovaltine ice cream with bits of chocolate in it. It was so freakin delicious that I had to get a pint to take home. It seriously is one of the best ice cream flavors I've ever eaten. 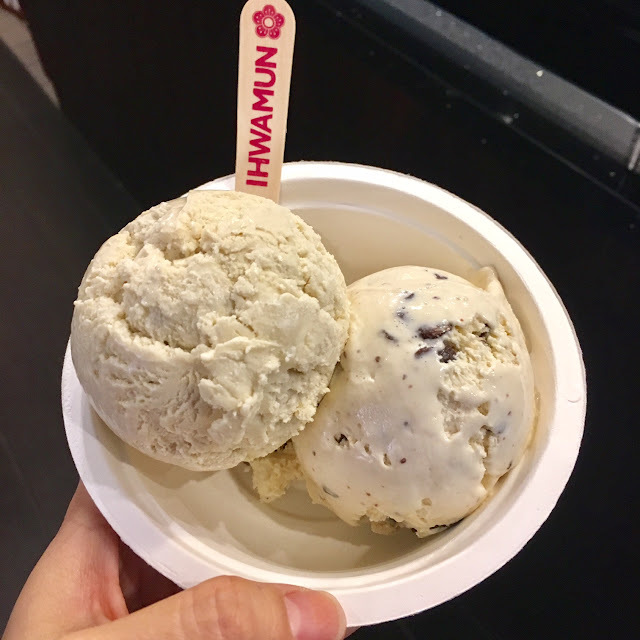 Overall, Ihwamun Ice Cream is excellent. It has flavors that you're accustomed to and introduces you to Korean flavors that are interpreted into ice cream. I appreciate that they use organic ingredients to conjure up their ice cream as well as making fresh batches of ice cream on site. I just wish there was one closer to the Westside so I could eat it all the time (or maybe it's a good thing that it isn't so close...new year's resolution is to eat healthier..lol).